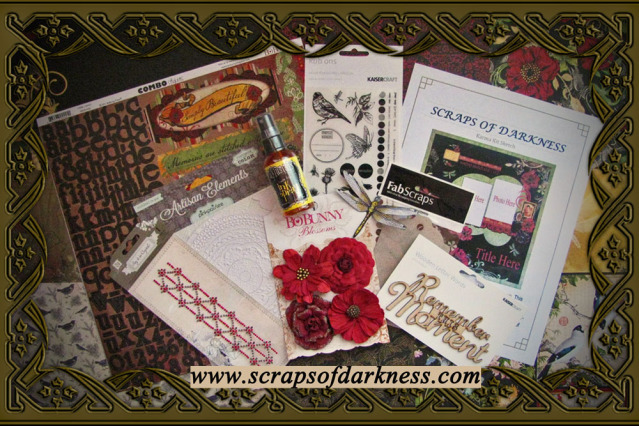 Drycha - mixedmedia - craft - handmade: Scraps of Darkness November Blog Hop and Kit: "Karma"
Scraps of Darkness November Blog Hop and Kit: "Karma"
If you have arrived here from Michelle Phillips you are on the right track! This kit is brimming with Bo Bunny "Serenade"
And they are giving away a fantastic prize! All you have to do is become a follower of the Scraps of Darkness blog and “like us” on Facebook. each participating blog,become a follower of those blogsand leave a comment. and leave us a comment letting us know how much fun you had! 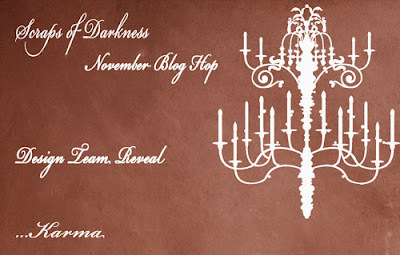 If you post about this blog hop on your own blog you will be entered into the drawing twice for an extra chance to win! The November kit is stunning and you won’t want to miss out on grabbing one for yourself! 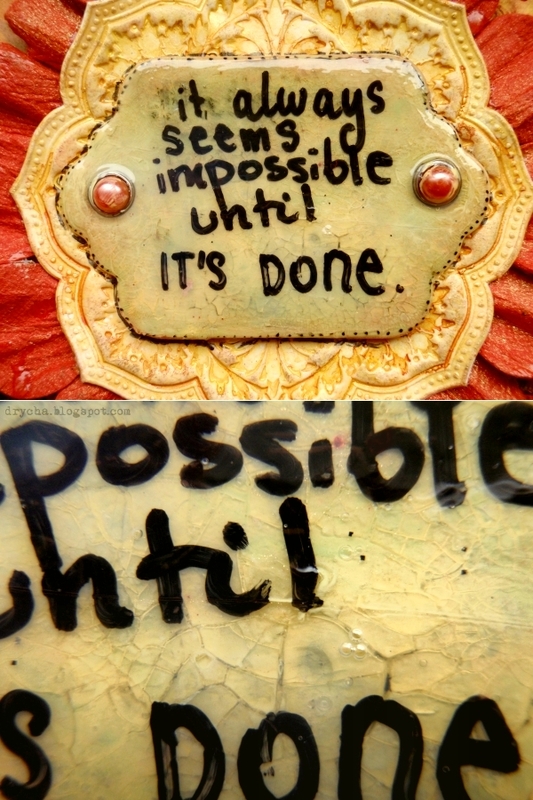 Art journal page with quote from Nelson Mandela. I have for You some close-ups! jakie cudowne malarskie i gniecione tło! 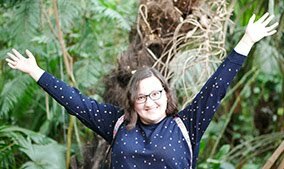 Piękne tło i wyjątkowo ciepła praca! I'm loving that background girl!!!! LOVE!!!! Love this Drycha, and that background just plain rocks!!!! Awesome background! The colors on this just pop...gorgeous! Beautiful creation, and I love the quote. Your textures and color are amazing! Stunning. Love the close up photography. It really allows me to see some of your techniques. Very creative, as always. Thanks! That beautiful rich yellow just draws me in and I love the quotation!! Purely gorgeous! wonderful textures, love your technique. beautiful color pallette. thank you for sharing, Im a new follower. Gorgeous work Drycha, love that quote! 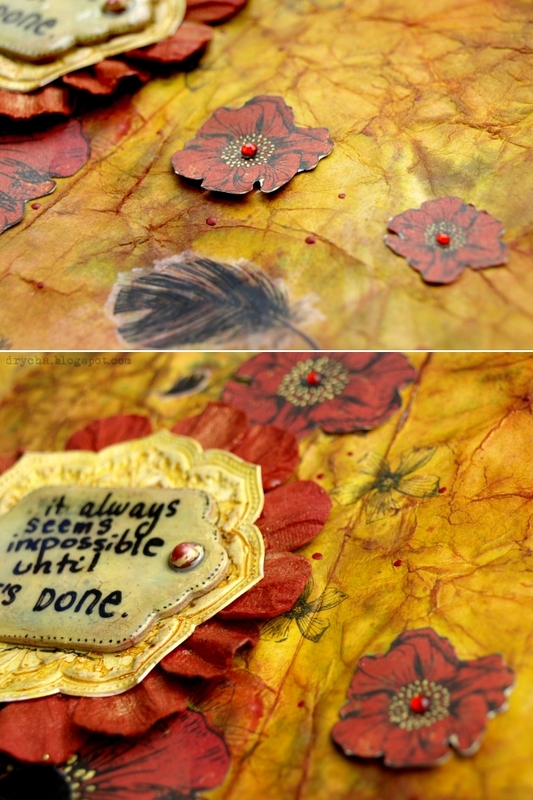 Love your art journal page! The quote is beautiful. 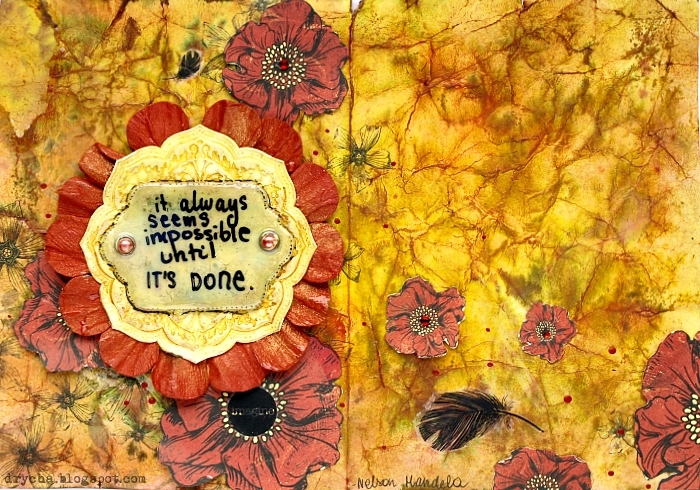 Gorgeous art journal! I love it. Great quote. Great quote - so inspirational.